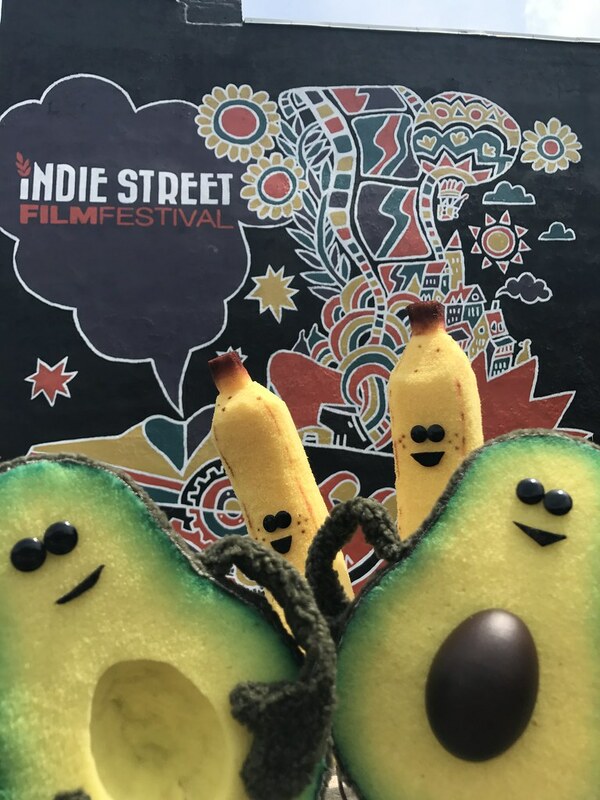 In the absolutely adorable short film “The Pits” written by David Bizzaro, who also provided the wonderful puppetry, and directed by Mike Hayhurst of Evening Squire Productions, a lonely, forlorn Avo searches the streets of New York City for its mate Cado and their shared pit. Feeling incomplete, Avo tries to cover its open abdomen, but nothing sticks. Adding insult to injury, a very happy couple named Ban and Ana laugh at Avo’s nakedness, which only makes it look that much harder for its partner. 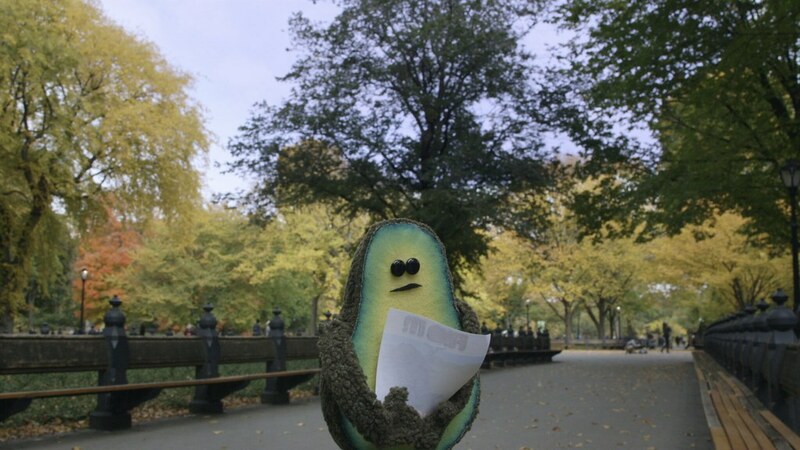 By chance, Avo receives a flyer that tells it to go to the park to find what it was looking for. In a world full of pears, what can you find to fill your pit? A story about longing, love, and finding your other half. 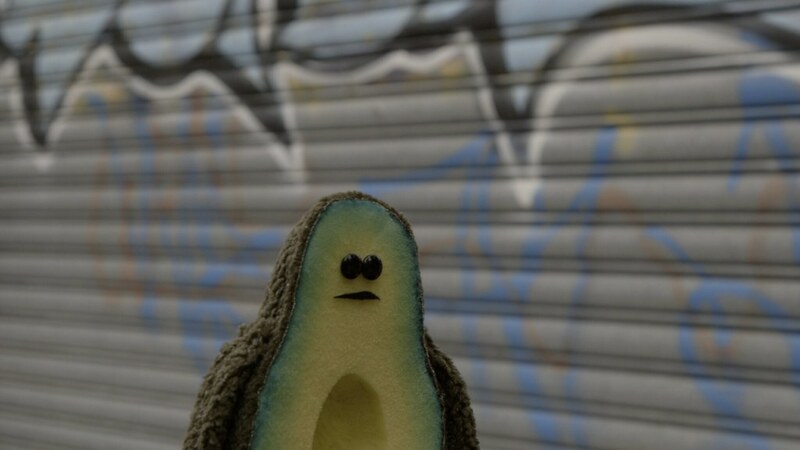 …Your heart will break and rejoice as the main character Avo, a lonely avocado roaming the streets of New York City, searches for something to fill its pit.